Let us help you transform the most important asset of your appearance: your SMILE. We will create a stunning smile that’s in harmony with your face, age, and gender, resulting in a more beautiful and youthful appearance. We don’t have paid celebrity endorsement and we don’t have a one size fits all smile make over for everyone. Every smile is unique and creating an individual beautiful smile is what we do. Cosmetic Dentistry is an art and with the top Honolulu cosmetic dentist Dr. Keri Do, your smile is created by one of the leaders in the field of cosmetic dentistry. With more than 20 years of experience, Dr. Keri Do is the only dentist in Honolulu and Hawaii to be accredited by the American Academy of Cosmetic Dentistry, the only credentialing agency that is certified in cosmetic dentistry. She has shared her expertise in numerous professional publications such as the Journal of Cosmetic Dentistry and Aesthetic Dentistry Journal. Her skills have earned her multiple recognitions, including being named as Best Dentist in Honolulu Magazine and one of the top dentists nationwide in cosmetic dentistry. Dr. Do has spent years teaching other dentists her technique and skills. View our smile transformation gallery to see and judge her incredible results for yourself! Working closely together, Dr. Do and Dr. Choy will recommend the procedure that's right for you. Cosmetic dentistry can be an answer for anyone who is embarrassed by their smile and who wants to improve it. You might turn to cosmetic dental procedures to make a better impression on the job, because you are in a high-profile position, or because you want to feel more comfortable in social situations. Not everyone qualifies for certain cosmetic treatments. For instance, bone loss can make it difficult to install an implant, and certain medical conditions can affect your ability to heal properly. Our Honolulu dental office will always put your health first and complete a full evaluation to decide whether you qualify for the procedure you're interested in. Thanks to specialized training and technological advancements, we are able to correct issues such as gaps, discoloration, chips, cracks, heavy wear, jaw pain, toothache, and misalignment with techniques that are much less invasive than methods used in the past. These newer techniques are also faster, more accurate and more comfortable, allowing us to offer incredible, long-lasting results with maximum convenience. There's never been a better time to get the smile of your dreams! Ever heard the saying that it’s better to do something right the first time rather than to fix something that was done wrong. This is especially true with cosmetic dentistry since many things can go wrong that many patients don’t think about. When treated by a skilled and experienced cosmetic dentist, the result will be comfortable and effortless, but when done incorrectly, all the imperfections will be blatantly apparently. The finished treatment can be disastrous and irreversible since tooth structure has already been removed. Over the years, we have fixed so many cosmetic procedures treated by a so called “cosmetic dentist”, that we have become the “repair” practice for cosmetic dentistry gone wrong. At Manoa Dental, we prepare every patient for long term success which includes using skilled ceramist and the best materials. We will pay attention to all the details that you don’t think about, such as feminine or masculine teeth, harmony between your upper and lower jaws, or minimal tooth structure removal. Our goal is to find the perfect smile that fits and showcases you. We want treatment that will not only look good but will last a lifetime. Our goal is that years from now, the last thing a patient wants to worry about is their teeth. We are here to care for them. That is our job and we take pride in keeping our patients’ teeth healthy and looking good long term. We use the best ceramist for our veneers and the best materials. Something that patient don’t think about it. Join us in our state-of-the-art facility designed with our patient’s comfort in mind. Please take a tour of our office and see for your yourself. 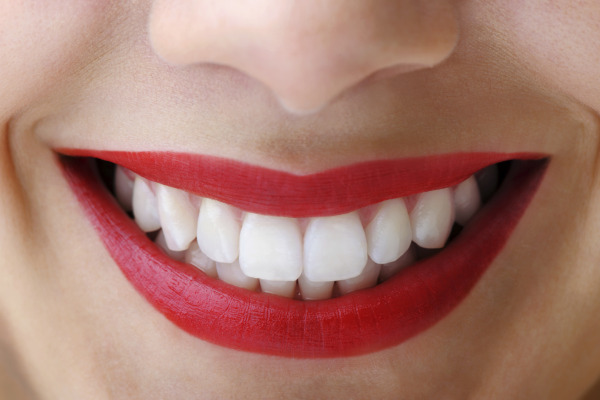 Why Choose Manoa Dental for Cosmetic Dental Services? Dr. Do's practice is based on restorative and cosmetic dentistry because she recognizes that a better smile connects how people feel about themselves, and to an improved quality of life. With more than 20 years of experience, Dr. Do is the first and only woman dentist in Hawaii accredited by the American Academy of Cosmetic Dentistry. She has shared her expertise in cosmetic dentistry articles in publications such as the Journal of Cosmetic Dentistry and Aesthetic Dentistry Journal, and her skills have earned her multiple recognitions, including being named as Best Dentist in Honolulu Magazine and one of the top dentists nationwide in cosmetic dentistry. View our smile transformation gallery to see and judge her incredible results for yourself! Make the Appointment to Transform Your Smile Today! To schedule your complimentary consultation for cosmetic dentistry services in Honolulu, contact our dental office. We are happy to serve patients from Manoa and greater Hawaii. Whether you want to brighten your smile or need a complete restoration, Dr. Do and Dr. Choy look forward to seeing you!